Bike racing professionals and amateurs from throughout the Midwest will compete in America’s largest three day cycling race at the La Crosse Omnium the first weekend in May, in La Crosse, Wisconsin. The La Crosse Omnium is part of the Festival Foods Grandad Half marathon festivities. 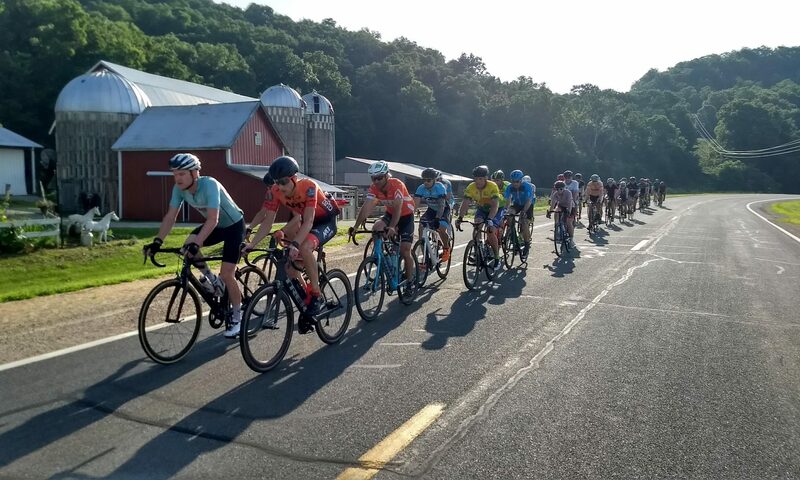 The Outdoor Recreation Alliance (ORA) is staging the 8th annual La Crosse Omnium in 2019, which begins Friday evening at 4:00 pm with a time trial up Grandads Bluff. The Time Trial and several other race categories have sold out in past years, so racers are encouraged to register in advance for La Crosse Omnium. Please note that pre-registration is required for the Time Trial. Friday’s lung searing, Grandads Bluff time trial climbs 550 feet in 2.4 miles and racers go off every 30 seconds starting at 4:30 pm. Day 2 of racing starts Saturday morning at 8:30 am on a challenging and secluded loop on nearby back roads that features lung scorching climbs and scenic sweeping descents. There are 15 categories of racers completing a 14.35 mile course one to five times depending on the race field. Distances range from 14.35 to 57.4 miles. Riders ascend and descend 1150 feet per lap. The finale, day 3, begins Sunday morning with a Criterium on the downtown streets of La Crosse. “NASCAR on bikes” with elbow-to-elbow race action at high speeds around a tight, flat as a pancake profile. With a beer garden, featuring local brewery Turtle Stack, this is a great chance for spectators to see firsthand all of the excitement that bike racing offers. Please consider volunteering when you are not racing, or having friends and family volunteer. We can’t run the event without our great volunteers! See our Volunteer Sign Up to find out more about where we need help. The La Crosse Omnium has a no refunds policy for our events. We appreciate that situations may arise which prevent registrants from participating, however the race incurs many costs in advance that do not allow us to give refunds. All of the proceeds benefit the Outdoor Recreation Alliance. Points are scored separately in each event and then accumulate toward the La Crosse Omnium Championship. Speaking of points, we will do podiums as soon as results are official, each day. You can also find results on our website and USAC‘s site. Copyright © 2019 The Premier Midwest Spring Cycling Classic.